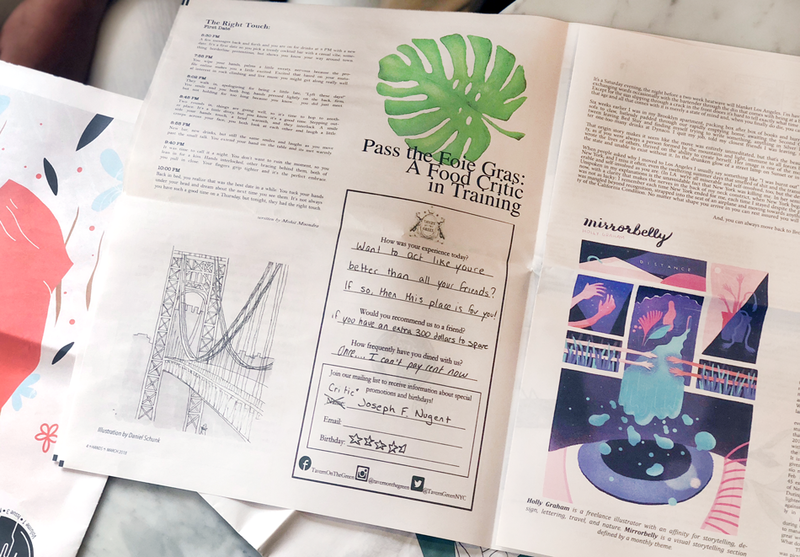 On a trip to New Orleans last year, Chelsea Trout and Arpan Somani came across the city’s alternative newspaper Antigravity in a coffee shop. Flipping through pages of offbeat perspectives on local art and culture, the pair had what they call a “what if moment”: What if they started a free newspaper like that for their community back home in Brooklyn? 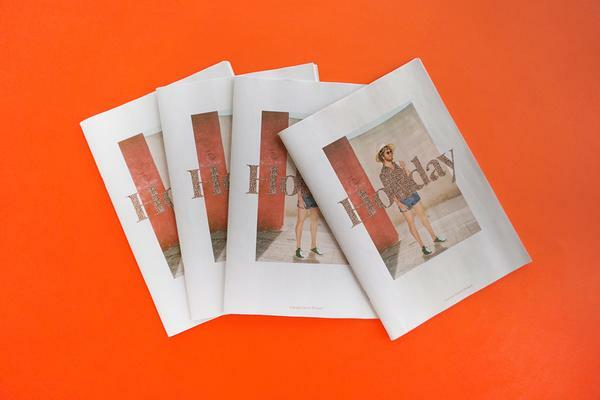 In March, after collecting submissions from creative friends and downloading a free trial of Adobe InDesign, Trout and Somani turned that “what if moment" into the first issue of HANDS. They launched an Indiegogo campaign to fund more issues, and raised over $6,000—enough money to print a tabloid newspaper every month for a year. Now with 5 issues under their belt, and a team of contributors that’s growing every month, Trout and Somani tell us what they’ve learned about getting a scrappy community newspaper off the ground. 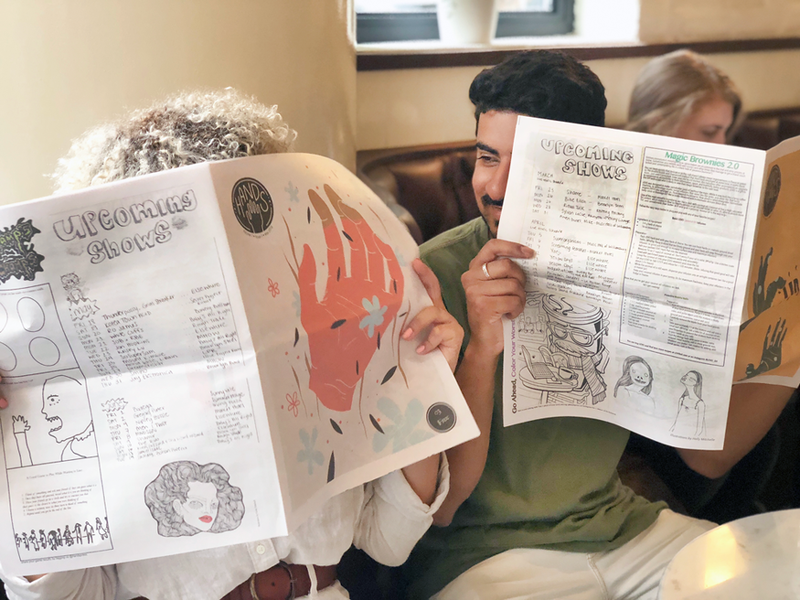 HANDS founders Chelsea Trout and Arpan Somani flip through the newspaper (left). The first three issues of HANDS (right). Creating a newspaper has been a learning experience for the new publishers. 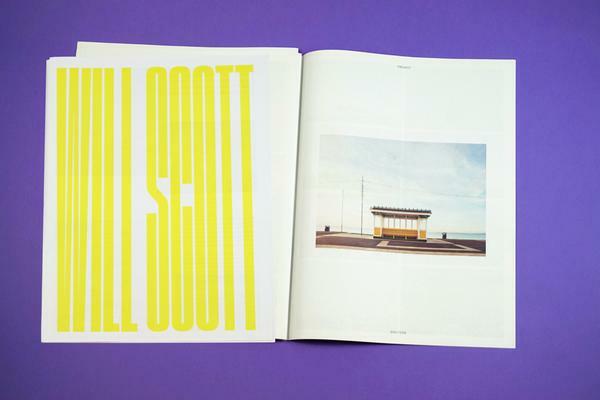 Neither had used layout software before launching HANDS—to create the first issue, they Googled their way through a crash course on Adobe InDesign. The content is an ongoing experiment, too. “We don’t know what HANDS is yet,” says Somani, who adds that they’re listening and adapting to feedback from readers and “with every issue, we’re getting closer to an identity." Spread from HANDS newspaper, showing regular illustration and food review features. They’ve found a great fit with the coffee shop Seven Point Espresso. In addition to stocking the newspaper, it recently ran the first ad in HANDS: a fun Australia-themed word search (pictured below) that readers can redeem for a discount. The ad doesn’t feel intrusive in the newspaper, and also shows the playful personality of the cafe. Win-win! 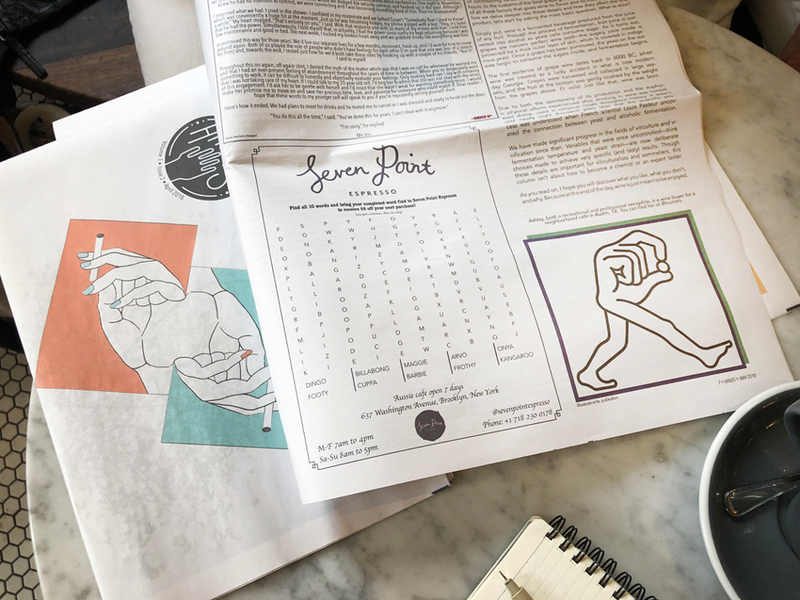 Seven Point Espresso ran the first ad in HANDS, a word search that readers can redeem for a discount at the coffee shop. HANDS does have an Instagram account, but only to let folks know where to find the latest issue IRL. 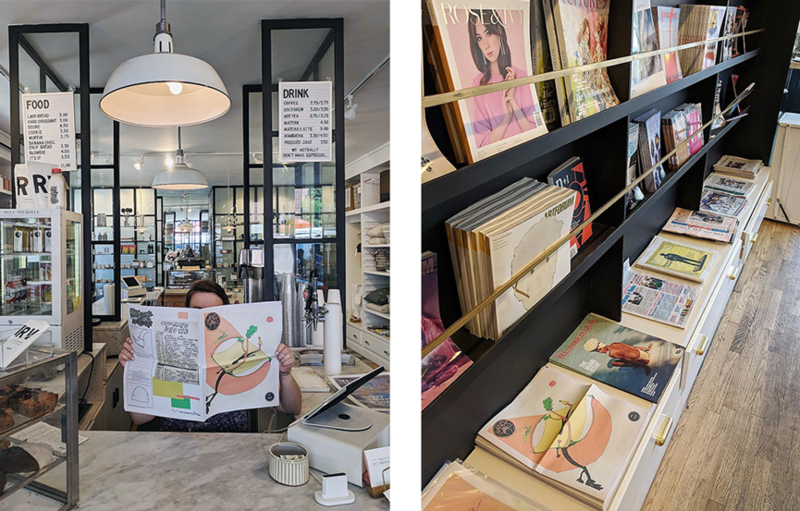 Trout and Somani want people to seek out the newspaper in person—in the process, maybe they’ll discover a local businesses they didn’t know about before, or end up sharing a copy with a neighbour. In this way, they hope HANDS can contribute to a wider “local conversation” happening offline. HANDS at Regular Visitors, a cafe and shop that stocks the newspaper. 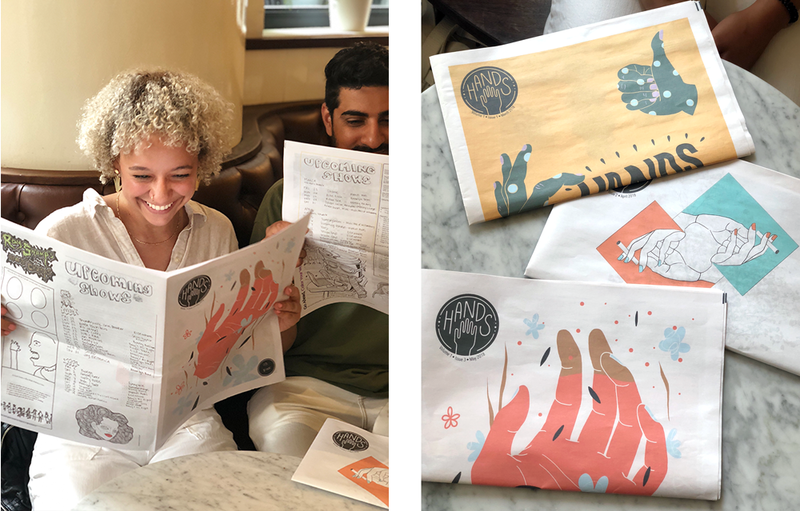 At first, most people who contributed to HANDS were Trout and Somani’s friends—like illustrator Holly Graham, who designed the newspaper’s logo and created cover art for the third issue. 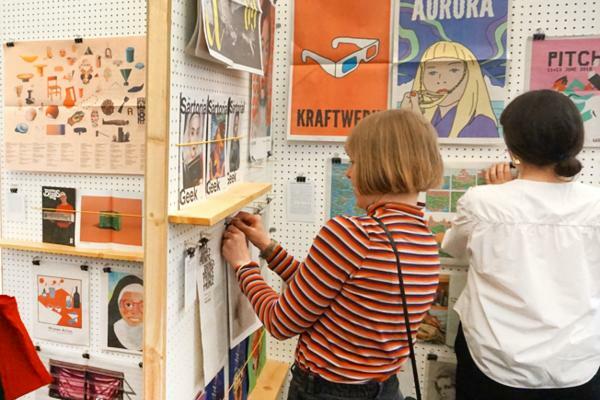 But more recently, people they don't know have been finding the newspaper in coffee shops, or on Instagram, and are reaching out to get involved. That’s how they met the writer for a wellness column they’ve recently started publishing. Another contributor sent a message after discovering HANDS through Newspaper Club. Maybe a future contributor is reading this blog post right now—if that’s you, here’s how to get in touch.